Key 19th century HOFer, among the very finest players of his era. 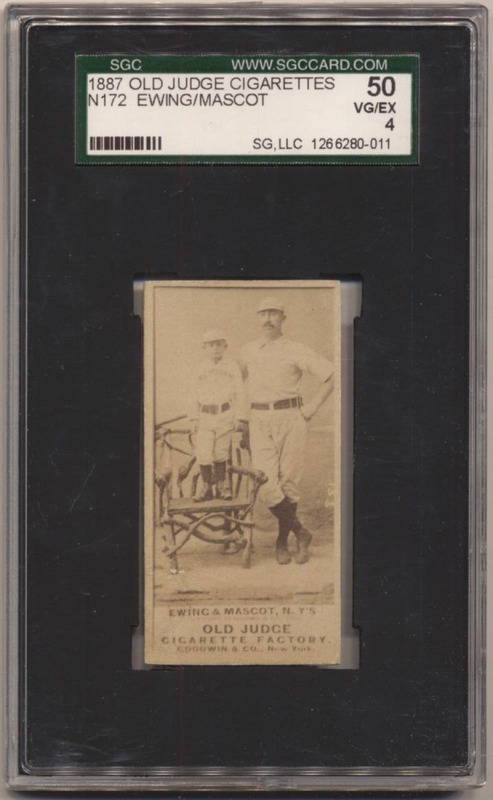 Offered is a classic card, one of the most iconic in the set, of Buck Ewing with the New York mascot. Sharp looking card has a fine image, a clean back and crisp edges. The image is solid, the card has no creases and is quite clean. This is a truly superior example of one of the most classic of all Old Judge cards.